In our previous posts, we’ve presented the case for moving to a native cloud ERP solution. And it’s a strong case. Take even a quick look at some of our recent case studies, and you’ll see that the potential benefits of building your Industry 4.0 future on a cloud ERP foundation are significant. 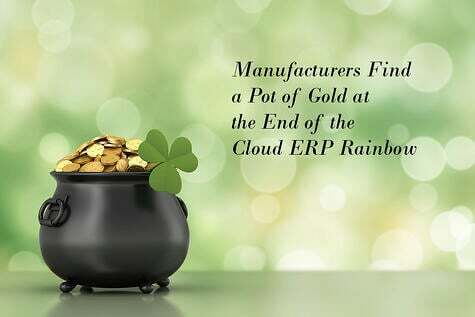 No wonder more manufacturers are adopting cloud-based ERP. But not everyone who starts a cloud implementation project finishes it. 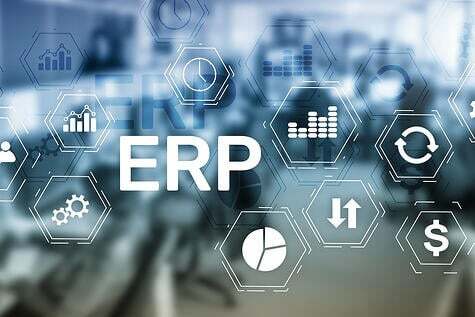 In fact, there are some indications that the rate of ERP implementation failures might be rising. Additionally, not everyone who completes their implementation achieves the outcomes they want. There’s no silver bullet that we can point to and say “do this and you will succeed.” But there are a lot of common mistakes that we can point to and say “don’t do these things and you’ll save yourself a lot of trouble.” To be perfectly honest, it still won’t guarantee a successful implementation, or that you’ll achieve all your cloud ERP goals. But, if you avoid these mistakes, your chances for success will greatly increase. In a previous post, we asked this question: What, specifically, do you want your new ERP solution to do for you? You should not proceed with evaluation – never mind implementation – until you have a clear, detailed, and widely accepted answer to this key question, which is why the review of business processes and the gathering of requirements should be the first order of business for your cross-functional evaluation team. And keep this in mind as you review your business processes: you’re looking for ways that you want to change, not just automate those processes. If all you do is automate current processes and practices, it’s very likely that you’ll continue to have the same problems. They’ll just happen faster. In short, don’t just gather requirements for doing “business as usual.” Your evaluation team should think and talk about what you want your operation to look like after implementation, and figure out what the requirements will be to achieve that state. Moving to cloud ERP is a big change. Think big. Mistake #2: Letting your expectations get out of hand. 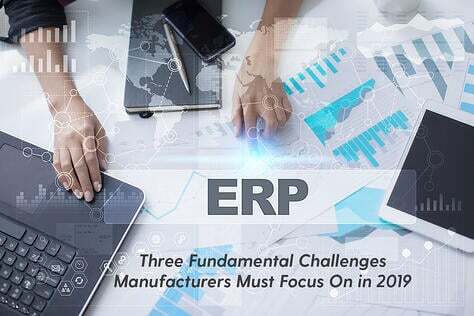 By the time they’re looking at cloud ERP solutions, most manufacturers are feeling operational pain that’s significant enough to prod them to action. They want relief, and they want it quickly. Assuming you identify with this situation, we offer you a word of caution: be patient. If you choose the right solution and implement it in a deliberate, strategic fashion, you should expect a meaningful impact. This is a central system of record we’re talking about. It touches virtually every one of your business processes. And we have seen some pretty impressive results happen in relatively short order. Matouk, a high-end custom linen manufacturer/distributor, recently implemented Rootstock Cloud ERP and Salesforce CRM. Six months later, they had achieved a 223 percent ROI. But, for at least two reasons, meaningful results tend to develop incrementally. First of all, results will be limited to the scope of your initial implementation, and you’re not going to bring the entire system online at once (see #9 for the reason why). Second, even the smoothest software implementations require adjustment after you flip the switch. Be patient; the results you’ve planned for will come. Mistake #3: Moving ahead without a committed executive sponsor. Remember the part about ERP being a central system of record? And the cross-functional evaluation team you need? And the end-to-end business processes you’re going to impact? 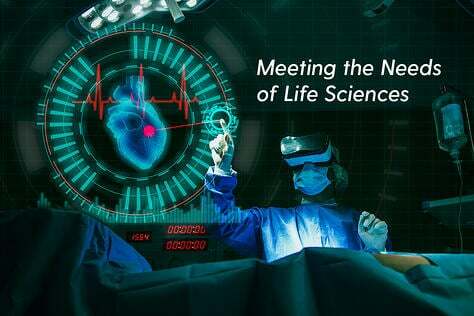 Set aside, for a moment, the large amounts of time and money you’re about to invest, and simply consider the complex matrix of interests – both aligned and conflicting – this implementation is going to bring together. You need a heavyweight executive sponsor who is an advocate of this project, who can credibly be objective, mediate conflicts, and keep your project moving forward. Now, let’s talk about the time and money. This process will take months. We’ve seen some evaluations and implementations last a year or more. Keeping the inaugural team together that long can be difficult, depending on existing business demands. Maintaining organizational focus and will can be a challenge, too. An effective sponsor can identify and request strong team replacements and keep people rallied, regardless of the project’s duration. The right sponsor will also have the authority to deal effectively with any budget impasse that might arise. The ideal sponsor is a CTO or somebody senior with technical chops. It could also be your CEO or another officer. But whoever takes on this task has to be committed, engaged, vocal, and visible. Mistake #4: Ignoring the change management imperative. Yes, cloud ERP promises a more intuitive user interface than whatever you’re currently using for ERP. Yes, users have the ability to work with configurable business processes. 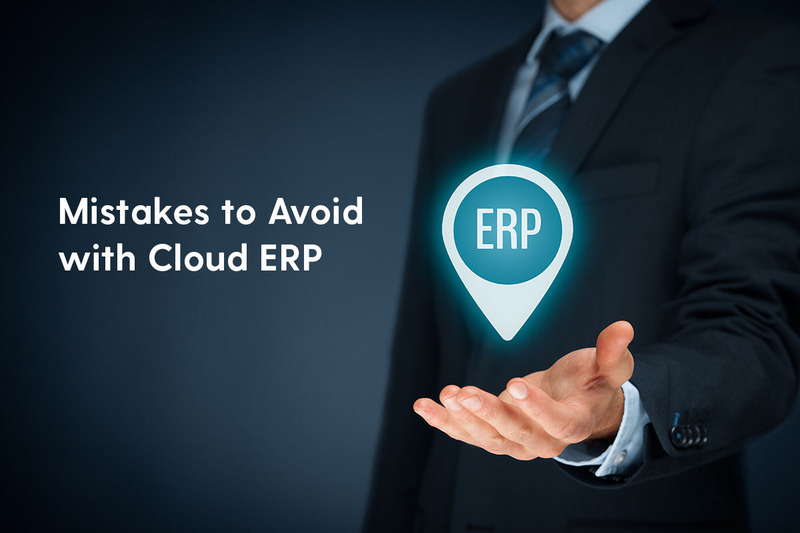 None of that means you can simply turn on cloud ERP and expect the sort of adoption that will make the transition successful. Accounting for the human factor is paramount. This should come as no surprise. In some cases, cloud ERP will bring new processes and new tasks, changing what your people do on a daily basis. 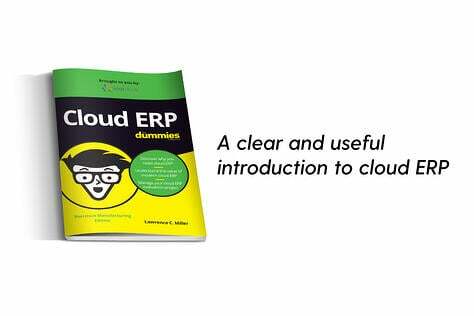 In every case, cloud ERP will change how they work. Thorough training and constant communication will be keys to ensuring that your workforce is prepared for the move to cloud and can be productive from the outset. Mistake #5: Not having enough people, or not having the right people, assigned to the implementation project. You’re going to need a seasoned project manager for this implementation, preferably somebody who knows how to define the new business processes you’ll want to enable with your new ERP solution, and who understands broadly how your organization operates. This is not a role for somebody you think has the potential to be a good project manager. It’s too big and too complex of a project to be used as a learning experience. If you can’t readily identify that person on your staff, don’t compromise. Either hire somebody with the right experience or find a good consultant. Beyond that, you’ll need talented technical staff. How many will depend on the scope of your project. Whether or not your current staff is sufficient, either in terms of numbers or skill sets, is something else you’re going to have to consider. In the end, you may have to bring in additional staff, or people with skills that don’t exist in your organization now. If it proves necessary, spend the money. Whatever it costs you to properly staff your implementation will be a whole lot less than what a failed or ineffective implementation will cost you. Mistake #6: Don’t plan for maintenance. If you’re updating from a legacy on-premises ERP system to cloud, you may think that you’re about to be liberated from a horrible, intractable maintenance burden. And you’d probably be absolutely right. But with cloud comes simplified updates that occur regularly. And, if your chosen solution is built on Salesforce.com or a similar cloud platform, you’ll have access to a wide selection of applications that deliver plug and play ERP customization for every type and size of manufacturer. “Maintenance” is no longer a dirty word with cloud, but it’s still an activity and expense you’ll need to account for in your planning. 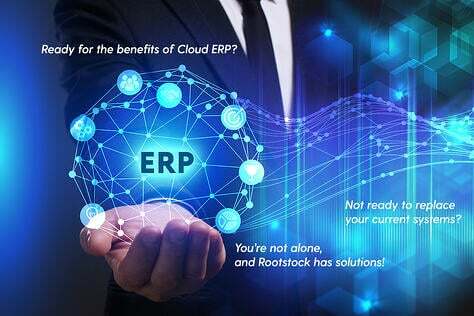 If you’ve been cobbling together spreadsheets and disparate applications and calling it ERP, you may think that just implementing a cloud ERP solution will create so many advantages over what you’re doing now, that it’ll be a long time before you’ll outgrow your initial implementation. Certainly, you’re going to experience some big leaps forward in your processes and outcomes. But new applications come online constantly. It’s prudent to make someone responsible for ensuring that your system is always running well, and is always functionally up-to-date. Mistake #7: Limit your vendor evaluations to the usual suspects. It used to be said that you would never lose your job for buying IBM. They were considered a solid, safe choice, even if their solution to any given problem wasn’t necessarily the best. Currently, there are several large, solid ERP vendors out there. Several of them were offering ERP before there was cloud, and now (out of competitive necessity, at the very least) they offer cloud, too. 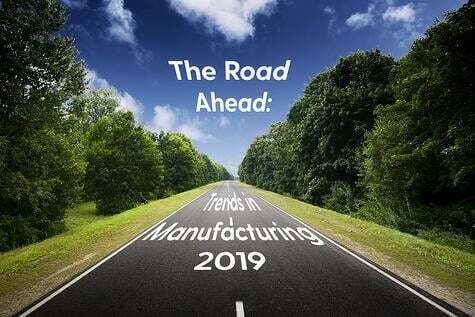 But, thanks in part to the emergence of cloud as a platform for ERP, there are now numerous smaller vendors who have developed solutions specifically designed for the needs of manufacturing verticals. With this sort of vendor, you can expect more industry expertise on staff, and less need to customize the “standard” solution, since it’s already geared to your business processes. When you start looking at potential vendors, cast your net wide. Mistake #8: Implement everything at once! It will be tempting to believe you’ve done a complete job of gathering requirements up front, that you’ve fully trained your users and they’re ready to hit the ground running, and that implementation will go smoothly. But don’t be tempted. ERP systems are complex. Using your new system will undoubtedly reveal requirements nobody thought of. Users will have questions they never thought of. There will be problems you never thought of, even if you’ve been prudent about the scope of your first implementation phase. Our advice, based on our firsthand experience, is to break your implementation into small steps, consistently seek user input on requirements, test the system, solicit feedback on results, and adjust as needed. When everyone is satisfied (most especially your users), move to the next step and repeat until all your implementation goals have been met. Mistake #9: Choosing to automate what you already do, rather than thinking about what’s possible. 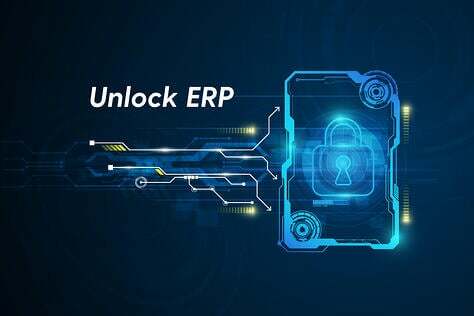 It is no exaggeration to say that the characteristics of native cloud ERP – scalability, a platform that offers plug and play customization, the enablement of mobility, the agility to simultaneously support multiple manufacturing modes – put you in a position to reimagine how your business functions. New product categories. New ways to go to market. To personalize each customer’s experience. To reinvent your organization in ways that you would never have considered, because they would never have been possible with your old approach to ERP. With all that potential for changing and improving your organization, simply making your old processes faster by automating them is like buying a Ferrari and never taking it out on the highway. It works, but you’re leaving a lot of performance on the table. Be sure you don’t leave any performance on the table. Keep an open mind and you’ll be taking a major step toward realizing the tremendous business value cloud ERP can offer.